Listening to this Indian classical folk/jazz-fusion outing, one recalls past dalliances between India and its former coloniser, Britain. From E.M. Forster's 1924 novel A Passage To India, where a character becomes overwhelmed by the echoes in the Marabar Caves, to the Beatles' 1960s study with the Maharishi Mahesh Yogi in the holy city of Rishikesh, such East-West exchanges have borne fascinating fruit and eyebrow-raising questions of cultural appropriation. Who is fetishising whom, a wary chap may ask, for instance. Halfway through this set, such petty concerns are banished. Everything Sacred represents an intriguing proposition from three musicians on top of their game. In 2011, Scottish folk singer James Yorkston met Suhail Yusuf Khan, a maestro of the sarangi - a bowed, short-necked instrument - from New Delhi. The former then asked his friend, Jon Thorne, the jazz-trained double-bass player from Mancunian trip-hop band Lamb, to form a trio. This album is the result. It is as much cross-cultural synthesis as testament to their brotherly kinship. It is an alterna-universe where one revels in textures, similar and different. The near 14-minute epic opener, Knochentanz (which means "dance of the bones" in German) is a largely improvised masterpiece, with Yorkston's agile guitars complementing the undulating, devotional grooves by Khan and underpinned by Thorne's jazz undertones. Mid-way, Khan comes in, his keening voice sounding like it was birthed from the sarangi, as sinuous and searching, erasing the line between music and humanity. It is followed by a whimsical version of Scottish poet and songwriter Ivo Cutler's humdinger, Little Black Buzzer. "I'm sitting on top of the world and my bum is cold," sings Yorkston drolly, who plays the Swedish nyckelharpa - a keyed harp - on the track. He is accompanied by Irish lass Lisa O'Neill's quirky, timeless croon, before Khan ends the song with a classical vocal flourish. Another high point is the cover of Lal Waterson's Song For Thirza, a heartbreakingly lovely ode to the Watersons' nanny. This time, the journey goes inward. 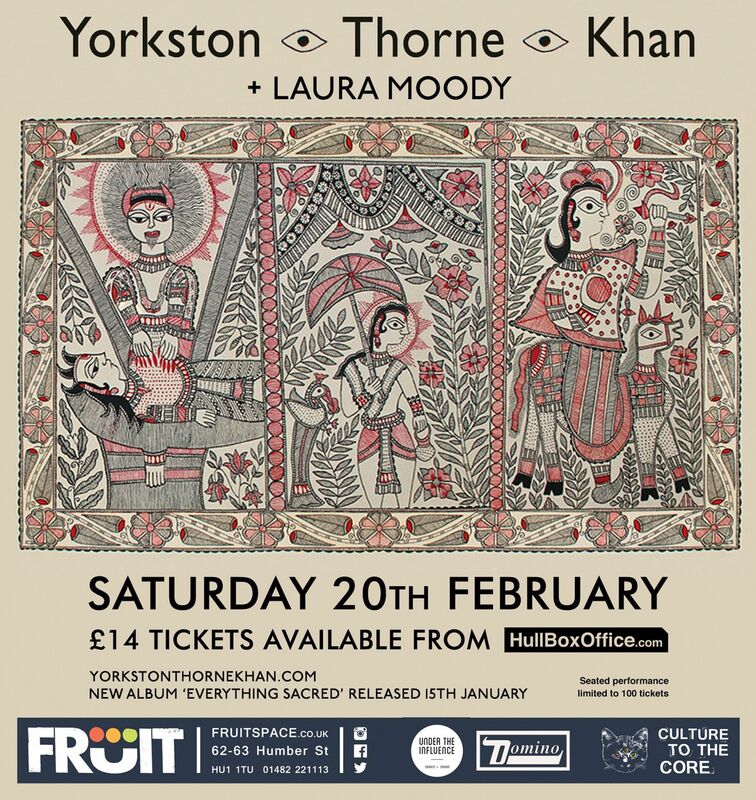 Yorkston's understated voice cracks in the right place, his buttery finger-picking buttressed by occasional glimpses of Khan's sarangi and O'Neill's sisterly support. Yorkston also reinterprets his own song, Broken Wave, an elegy for his bandmate, bassist Doogie Paul, who died of cancer in 2012, aged 40. "I will remember you/As a man full of love and not this broken way," he sings matter-of-factly, joined mid-song by Khan, whose devotional croon provides the ineffable tenderness for a mourning pal.